This is the second scrapbook layout I've done. I used the boulders around our pool as inspiration for the rock frames around the photos. 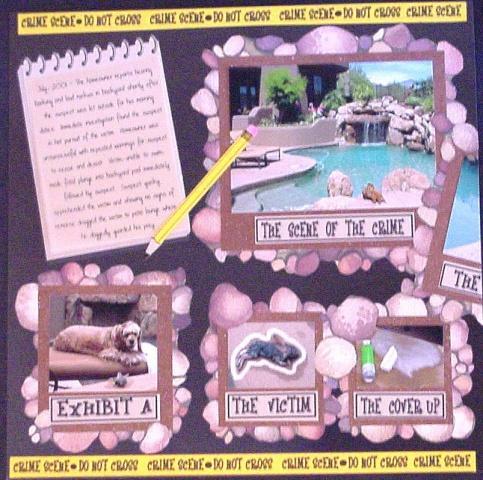 The crime scene tape was printed on my computer, along with the title blocks and the vellum paper spiral notebook.